BioMedical Transporters 2013 will be held in the world-famous Swiss mountain village of St. Moritz and will focus on several important topics related to membrane transporter research. Dedicated sessions will address most recent breakthroughs in basic science as well as newest achievements derived from more applied studies. More specifically, talks and panel discussions will deal with aspects of transporters research from a basic science perspective, will address the pathophysiological roles of transporters as well as cover their use for drug delivery and discuss safety and regulatory issues. A list of session topics covered at BioMedical Transporters 2013 is shown on the right. BioMedical Transporters 2013 offers scientists a chance to learn about the most recent breakthroughs in the membrane transporter field while interacting with world leading experts in their field from both industry and academia. Internationally renowned speakers are invited to give an update about their newest research achievements. A special “International Young Investigators Session” will offer a platform for younger scientists being part of the SFB35 (Austria), SFB807 (Germany) and NCCR TransCure (Switzerland) to enhance scientific networking and to interact with current opinion leaders in their field. The conference will also provide a great opportunity for basic scientists to discuss university-industry collaborations. Overall, the diversity of participants and speakers from both academia and industry in Switzerland, Europe, North America, and Japan will serve as an excellent basis for stimulating discussions and fruitful exchange of knowledge and ideas. The expected number of participants for BioMedical Transporters 2013 is 175-200. The combination of the alpine setting, moderate size, as well as the strong list of speakers and attendees is certain to make this a worthwhile conference for both newcomers and experts in the field of transport biology. 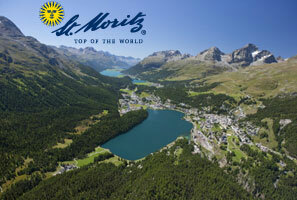 The conference will be held at the concert hall of the Hotel Laudinella in St. Moritz Bad. For a location map please click HERE. Membrane Transporters and Channels in Drug Discovery. Transporters from a Basic Science Perspective. How to Discover New Targets / Ligands: Bioinformatics on Membrane Transporters. Use of Transporters for Drug Delivery. International Young Investigators Session: SFB35 (Austria), NCCR TransCure (Switzerland), SFB807 (Germany). Structure, Function and Imaging of Transporters. Transporters of the Intestine, Liver, Kidney and Brain. Poster Session and Vendor Fair. Downstream of Transporters: Second Messengers/Signalling Pathways.